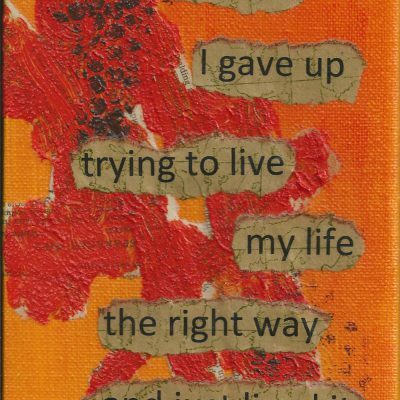 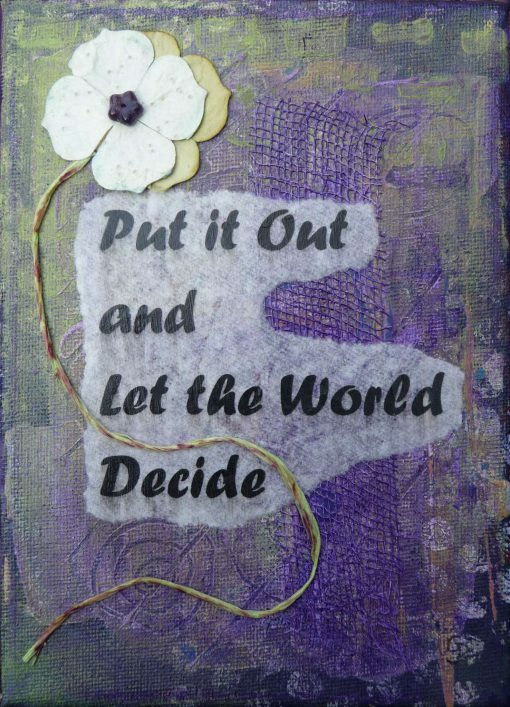 Original 5″ x 7″ mixed media painting on canvas with words “Put it out and let the world decide”. 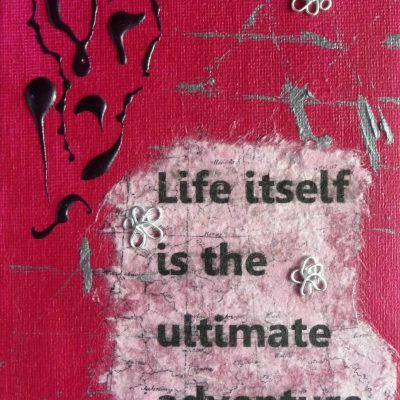 Created using acrylic paints, mediums, tissue paper, twine and embellishments. 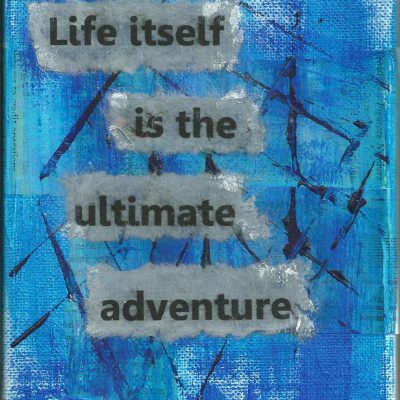 Main colour is purple.